South Sound Strings Harp Ensemble welcomes harp players of all ages. 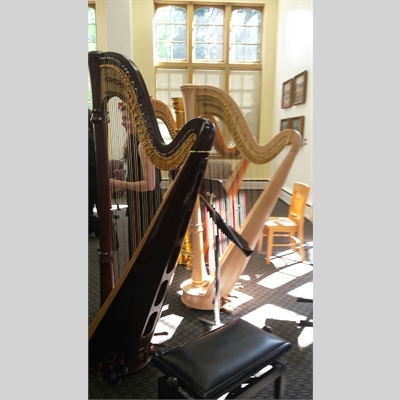 Explore chamber works and harp literature of various musical styles to play and perform with others. Guest musicians on instruments other than harp are invited to join the group by instructor approval. Harp ensemble is directed by Patricia Wooster. Rehearsal time: 3 p.m. - 5:45 p.m. Dress rehearsal (and load-in): May 17 at 5:00 p.m.